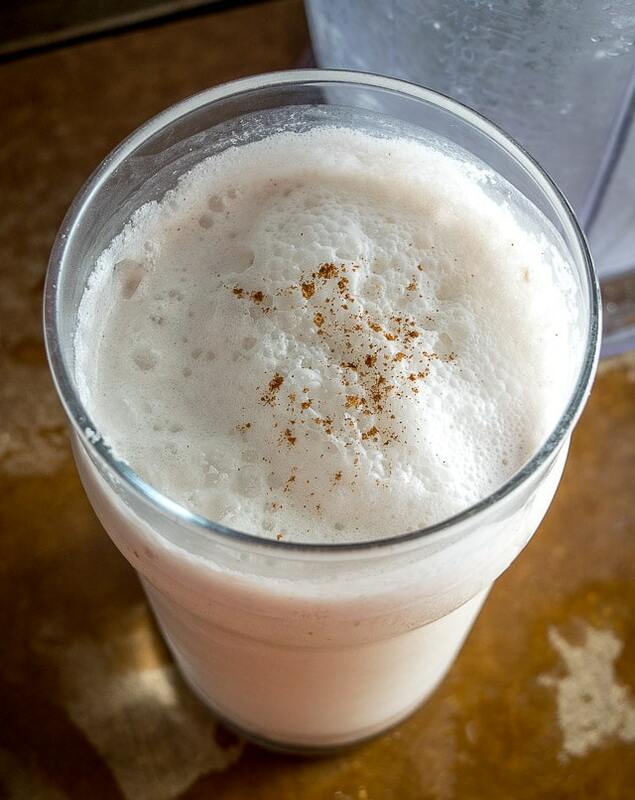 Head back in time to a world without soda and it’ll be much easier to find a refreshing glass of Horchata. Or you can skip the time machine and make your own batch at home. 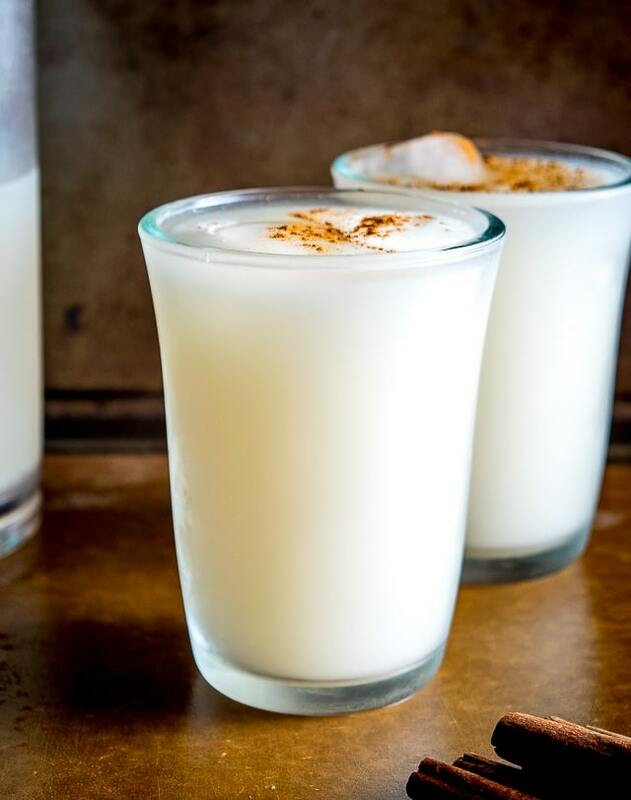 In addition to the above glass of Horchata that you can use to tasteboggle your friends and family, it’s also worth keeping in mind that you can use Horchata flavoring to create all sorts of other goodies in the kitchen (more on that below). Use raw almonds if you’ve got ’em but I’ve used roasted almonds before and still gotten a good result. You can also substitute a half teaspoon of ground cinnamon for the cinnamon stick. Purists will blanch the almonds to remove the skins but I’m in the habit of skipping that step. 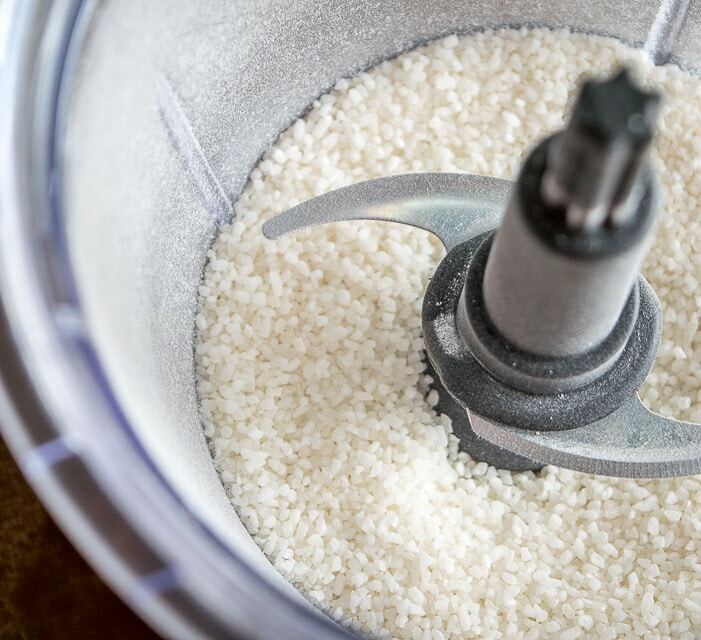 Add the rice to a blender or food processor and grind it down as much as you can. 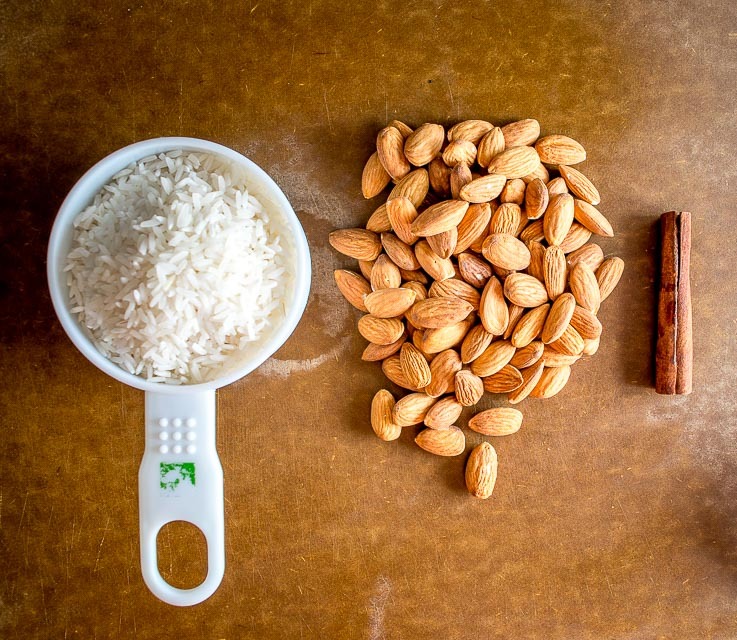 Add the almonds, cinnamon stick, 1/4 cup sugar, and 4 cups warm water. Combine well. 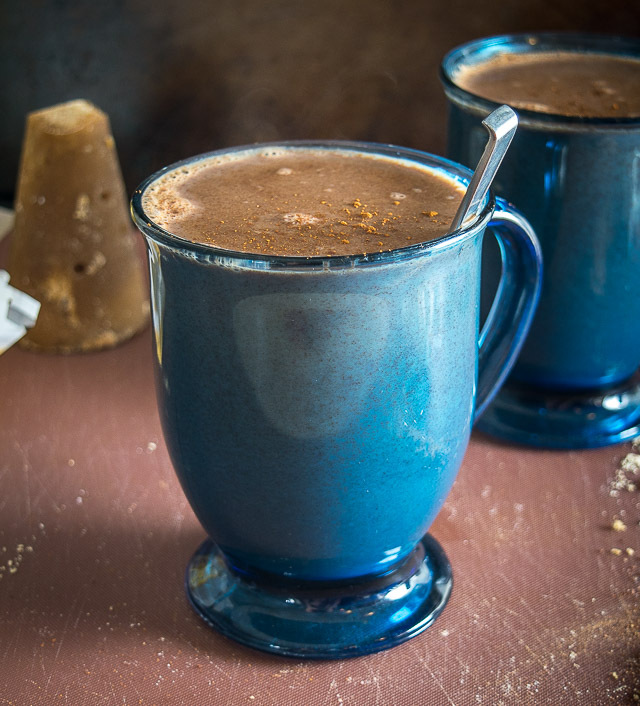 We’re only adding 1/4 cup sugar at this point to give you some sweetness options later on; most likely you’re going to want to sweeten it up a bit more down the road. You have to let this soak overnight in the fridge. This will give the flavors time to infuse into the water (and into your night-time dreams). Yes, you could soak it for only a few hours and still come up with a decent version, but it’s more common to soak it overnight. When tomorrow rolls around pull it out of the fridge and give it another blend; some of the solid bits will have softened and will break up further in this final blend. At this point you’ve got the flavor foundation in place. This is a partially sweetened, concentrated Horchata base that gives you a few options. 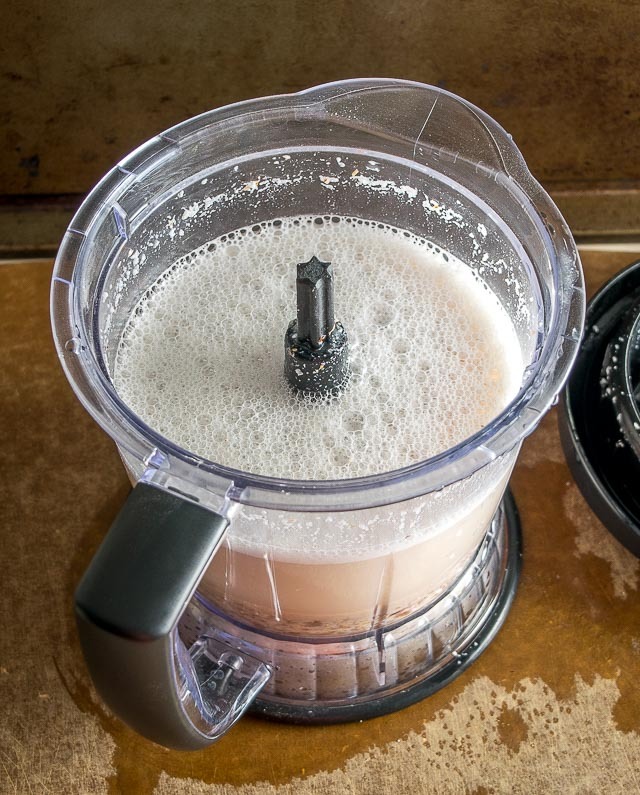 For groups, add another 4 cups of cold water to the blender along with another 1/2 cup of sugar. Blend until it’s as smooth as you can get it. The final step is to strain it and discard any grainy bits. 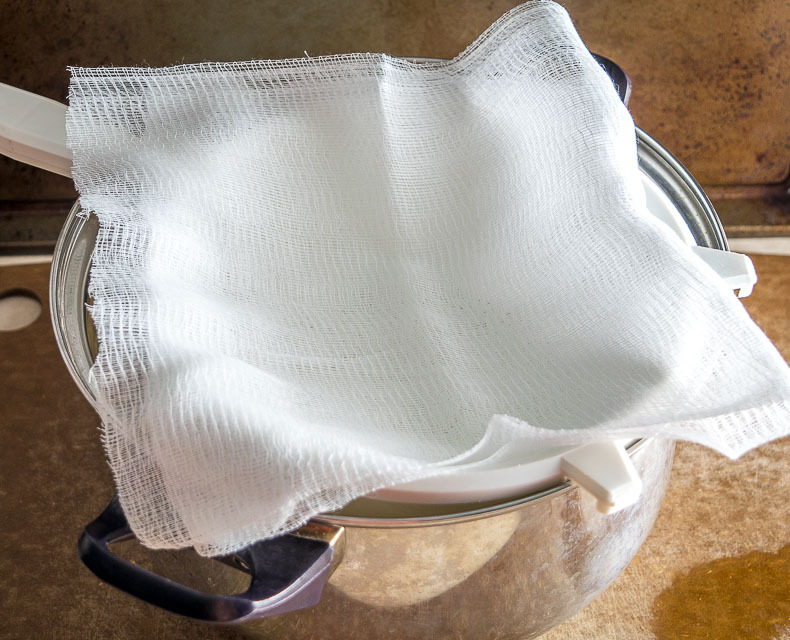 Straining through a fine mesh sieve should do the job; you can also line the strainer with a few layers of cheesecloth if you have some on hand. Once strained, serve over ice and feel free to give a final dash of cinnamon. While this version is perfect for groups and working in tandem with spicy meals, I want to mention the other option that I frequently use. My favorite lately is to add a few servings of this to a blender along with coconut milk and ice (and sometimes vanilla protein powder). Give it a whirl and you’ve a got a meal on your hands. 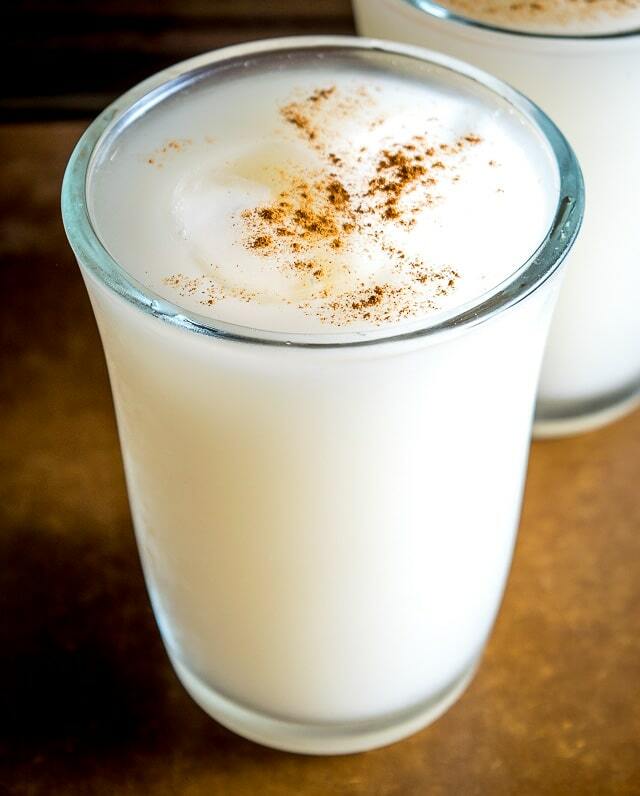 And if it’s that time of day feel free to confirm the following: rum gets along really well with Horchata too! 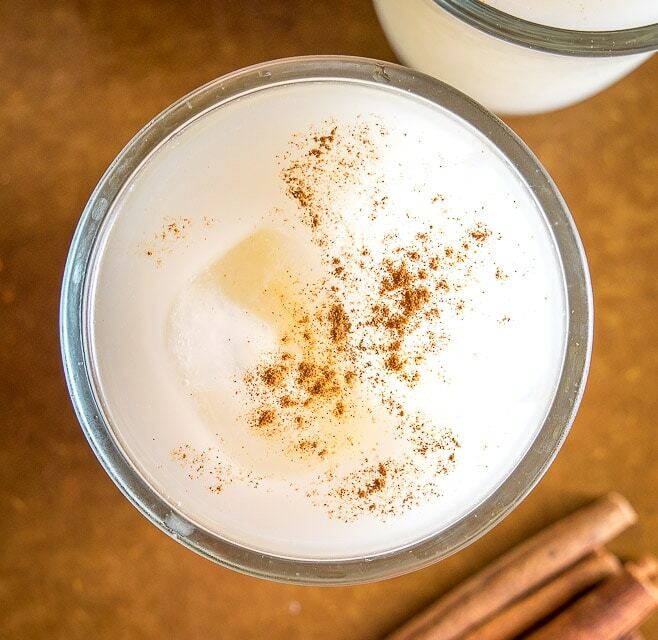 However you decide to serve it, I think it’s worth adding Horchata to your flavor arsenal. Okay, in the recipe box below I’ll list out instructions for the traditional, 8 cup version that works well for groups. But keep in mind that you always have the option of keeping the concentrated 4 cup version on hand to turn your kitchen into a Horchata research lab. Let me know if you have any questions. Buen Provecho! Scroll down for the recipe box. For up-to-date recipes follow us on Facebook, Pinterest, or Instagram. 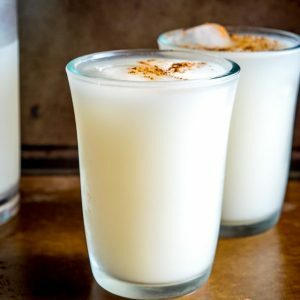 Horchata is one of Mexico's most common agua frescas: an easy-to-make rice flavored drink that offers up all sorts of great combos. Lately I've been adding coconut milk to it -- yum! Sometimes I keep the concentrated version on hand (with only 4 cups of water) and use it to make smoothies. My latest smoothie: add a few servings of Horchata to a blender along with coconut milk (approx. 1/3 cup), ice, and vanilla protein powder. You could also use the concentrated version to make milkshakes. I typically use raw almonds but I've used roasted, salted almonds before and still got a good result. Like Horchata? Then you’ll love these heartwarming Champurrados. 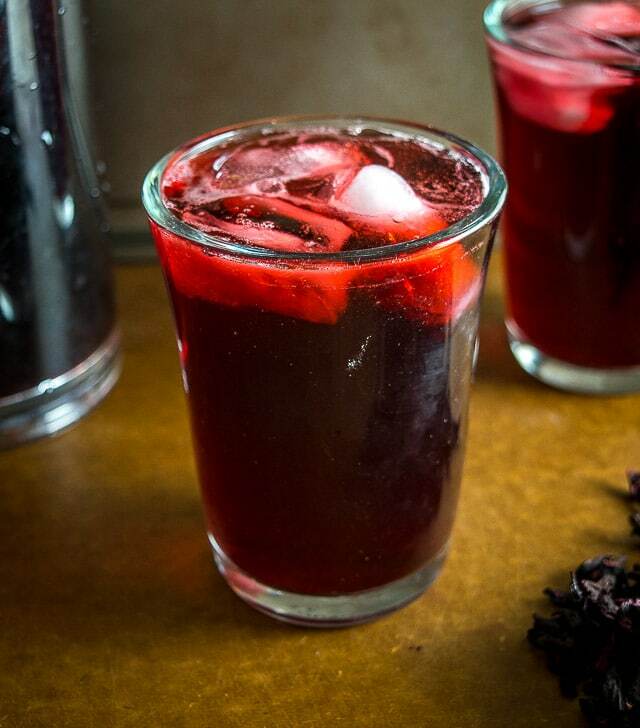 And here’s how to make a batch of Agua de Jamaica. 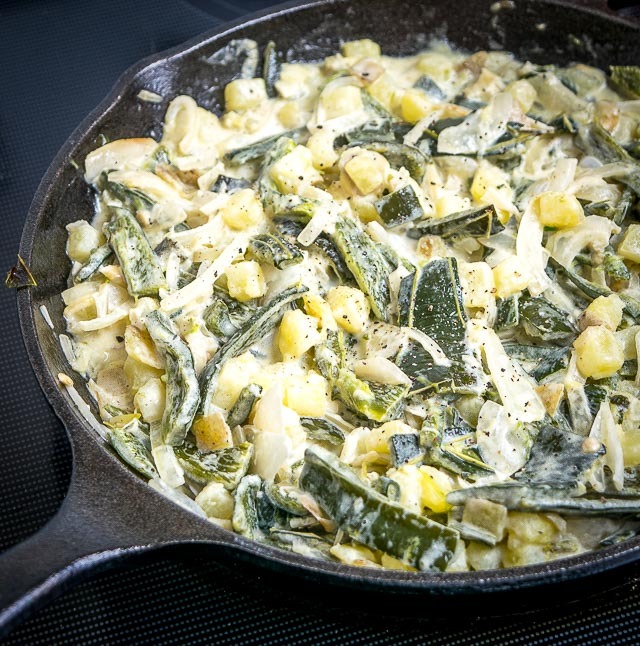 Or maybe you want to try our most recent recipe: Rajas! Thanks for this recipe. I love horchata! 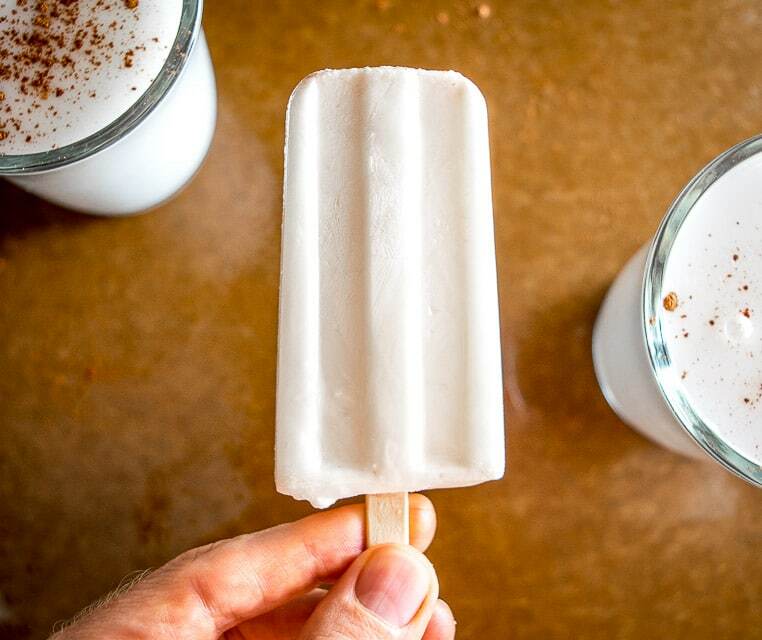 Do you think it would freeze well to eat as frozen treat and if so, would I need to add or change something in the recipe. Hi Irma thanks for your note! Hmmmm although I never freeze Horchata I would think that it would freeze quite well. I wouldn’t change anything in the recipe before freezing I think I would just go for it. Wow, this sounds so interesting! And I’ve got all the ingredients sitting in my cupboard! Time to make a batch! The recipe sounds great. Can’t wait to try it. But…where did you get the glasses? Thanks Dee! Ha I think I got those at a thrift shop a couple years ago.